This work was part of a larger project (McKim et al. 2006) funded by New Zealand’s Ministry of Research, Science and Technology. Biotechnology Learning Hub. (2006). Robotic milking. Retrieved April 22, 2009, from http://www.biotechlearn.org.nz/focus_stories/robotic_milking. Cabinet Office. (n.d.). The future and how to think about it. Retrieved October 1, 2010, from http://www.cabinetoffice.gov.uk/media/cabinetoffice/strategy/assets/future.pdf. Eames, M., Berkhout, F., Hertin, J., & Hawkins, R. (2000). E-topia? Contextual scenarios for digital futures. Final report. (Brighton, UK: Science and Technology Policy Research, University of Sussex) Retrieved October 1, 2010, from http://www.sussex.ac.uk/Units/spru/publications/reports/etopia/etopia.pdf. Guindon, G. E., & Boisclair, D. (2003). Past, current and future trends in tobacco use. HNP Discussion Paper 6. Retrieved July 31, 2009, from http://www1.worldbank.org/tobacco/pdf/Guindon-Past,%20current-%20whole.pdf. Ministry of Research, Science & Technology [MoRST]. (2003). New Zealand Biotechnology Strategy. (Wellington, New Zealand: MoRST) Retrieved July 31, 2009, from http://www.morst.govt.nz/publications/a-z/n/nz-biotechnology-strategy/. MoRST. (2005). Futurewatch: Biotechnologies to 2025. (Wellington, New Zealand: MoRST) Retrieved July 31, 2009, from http://www.morst.govt.nz/current-work/futurewatch/biotechnologies-to-2025/. MoRST. (2006). Futurewatch: Stem cell research in New Zealand. (Wellington, New Zealand: MoRST) Retrieved July 31, 2009, from http://www.morst.govt.nz/publications/a-z/s/stem-cell-research/. MoRST. (2009). Futurewatch: The economy, the environment and opportunities for New Zealand. (Wellington, New Zealand: MoRST) Retrieved July 31, 2009, from http://www.morst.govt.nz/current-work/futurewatch/The-economy-environment-and-opportunities-for-New-Zealand-a-futures-resource/. Osborne, J., Ratcliffe, M., Collins, S., Millar, R., & Duschl, R. (2001). 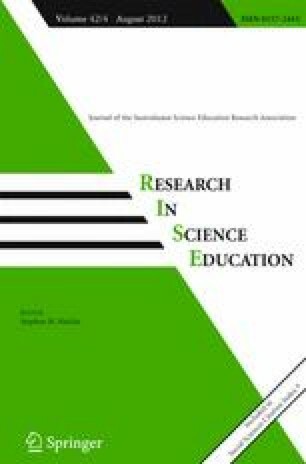 What should we teach about science? A Delphi study. Retrieved March 1, 2011, from http://www.tlrp.org/dspace/retrieve/793/DelphiReport.pdf. Schultz, W. (2003). Infinite futures. Retrieved July 31, 2009, from www.infinitefutures.com/aboutif.shtml. UNESCO. (2002). Teaching and learning for a sustainable future. Retrieved July 31, 2009, from http://www.unesco.org/education/tlsf.